Alter The Press! 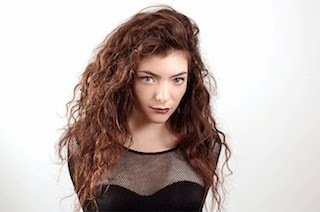 : Lorde Releases New Song "Perfect Places"
Lorde Releases New Song "Perfect Places"
Lorde has released another track from her anticipated Melodrama album today (ThursdayJune 1), with the party-like-everyone-is-looking anthem "Perfect Places." Lorde described recording the song in a Facebook post, chronicling that search for some meaning in late nights and endless pours. "today, PERFECT PLACES is out in the world. this is a special one," she said. "i was living in new york during summer last year, writing melodrama - i'd ride across the brooklyn bridge every day, or sit on the subway uptown in the heat, then go back home to new zealand winter for a week at a time to party with my friends. my life was like a weird little etch-a-sketch i kept scribbling on and resetting. and all last summer, i couldn't shake the feeling that everyone i knew or saw was searching for something - trying to transcend the news and the screaming pavements, drinking that one drink hoping it'd get them someplace higher. this song comes from that endless cycle of evenings and the violent heat of the summer. it took us a very long time to get right, from an aching piano demo to where is it now. it's close to my heart. i hope you like it."